Is planning permission required for a hardwood conservatory, orangery or garden room? Why we use seasoned oak frames? Sustainable & environment-friendly oak frames have been considered the 'King' of hardwood for builders over many centuries, rather than alternative soft wood options. With wood, there’s no industrial process, no harmful waste, no noxious fumes. Our oak comes from Poland's large resources of oak forests, and because of its climate, the trees grow tall and straight, suitable for the long lengths we require for rafters. Will the conservatory or orangery get too hot in summer and too cold in winter? How long will my oak conservatory or orangery project take to build? 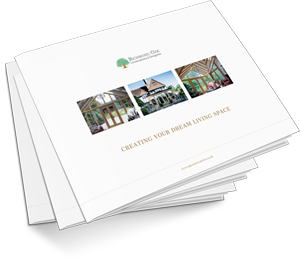 There are many factors that will affect how much you should expect to invest in your Richmond Oak orangery, garden room or conservatory. These include design type, size, planning permission, building regulations, frame material, technical specifications (i.e.glass type, roof vents), joinery installation and building works. Underfloor heating, floor finishes and decorating are often quoted separately and would be additional cost. Based on our experience of projects we have designed and installed for clients over the past 10 years the investment required will typically range from £40K - £150K; based on the previous factors that need to be considered. Yes. 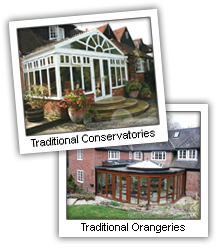 There is a full 10-year guarantee on the hardwood conservatories, orangeries and garden rooms we build. Will there be a lot of mess during construction? No, our professional fitters will put down boards and covers & take care of the removal of any rubbish, leaving the site tidy at the end of each day. We have teamed up with Pegasus Finance to be able to offer flexible, affordable finance options to you. You find the perfect solution to suit your needs, and they will make the process of purchasing it feasible and stress-free.